Happy Valentines Day! 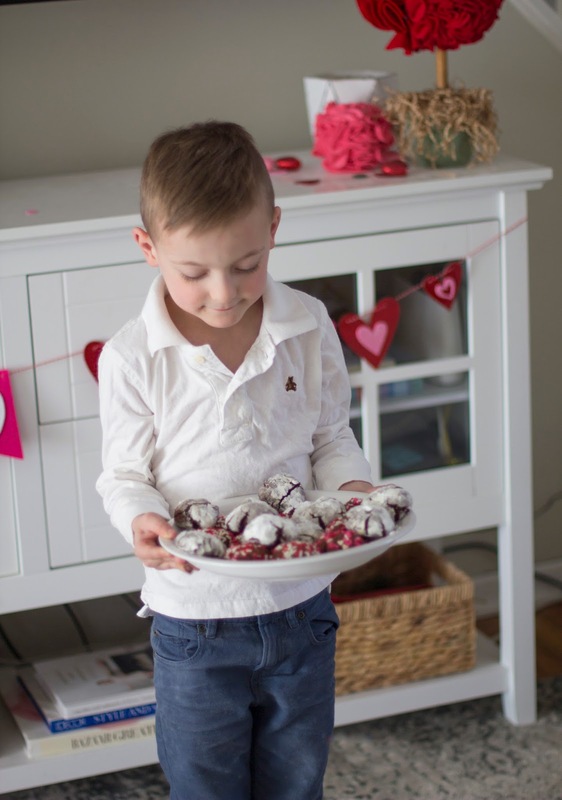 Every Valentines day I always try to do some kind of Valentines cookie baking with my kids. This year I bought all of the ingredients for my famous sugar cookie recipe, only for the boys to say they wanted to make something chocolate-y! I don’t know about you, but I absolutely HATE grocery shopping with my kids. Is that horrible of me to say? It just takes 10x longer, and they are always so busy its hard to keep them by me and behaving the entire time. Oh, and all while trying to look for specific food/ingredients in almost every isle. Mom life- am I right? 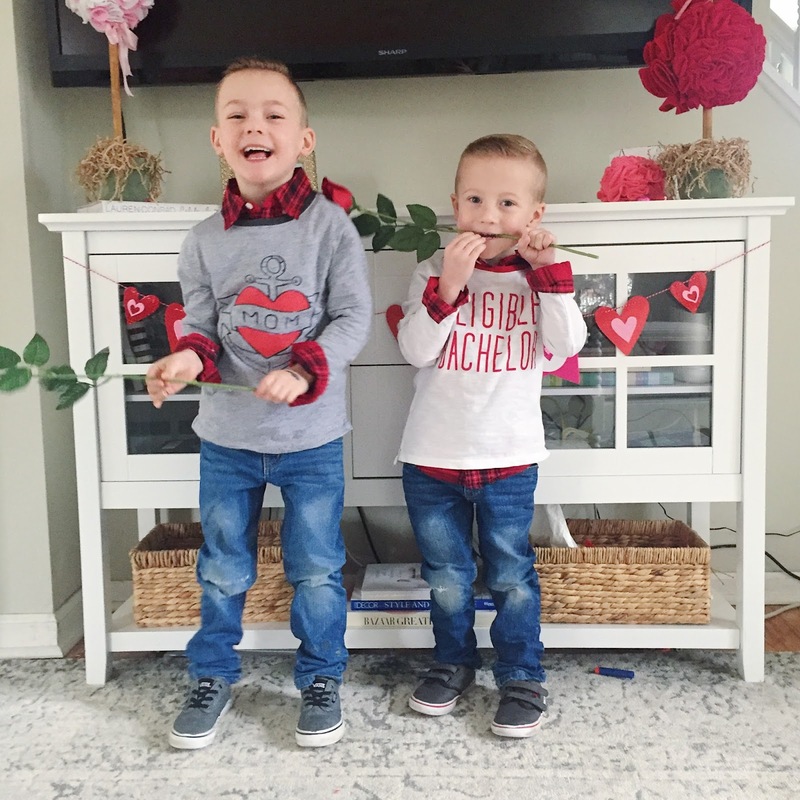 Anyway, so we did some searching online and found some pretty fun recipes for Valentines cookies, but none that made the boys super excited. 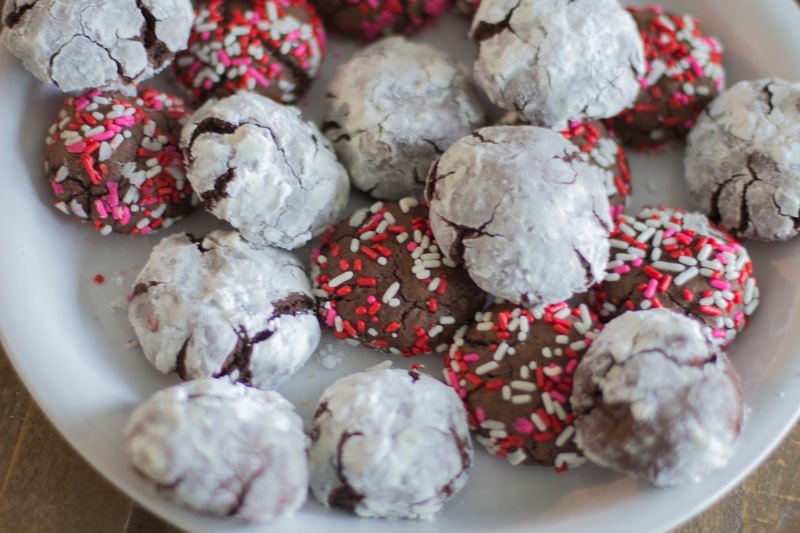 That was until we saw a recipe for some chocolate crackle cookies. 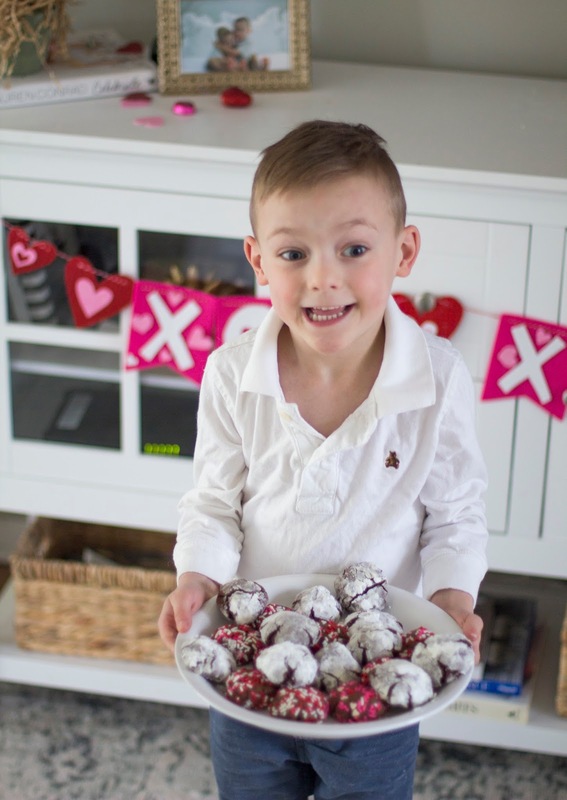 The boys both looked at each other and said, “that looks really YUMMY!” The recipe was specifically for Christmas, but I knew it could be easily adapted to a Valentines recipe. The best part? I already had a recipe that was super easy, and never disappoints. Another plus, I had all the ingredients at home already. Winning! This recipe is super easy, and the main ingredient is triple chocolate brownie mix. I like the ghiradelli version, but any triple chocolate brownie mix should do. C was my main helper. He rolled the dough into balls and rolled them in the sugar and sprinkles. It was easy and fun, and a good thing to do just the two of us. He’s my little baker, and has always helped me in the kitchen since he was one year old. 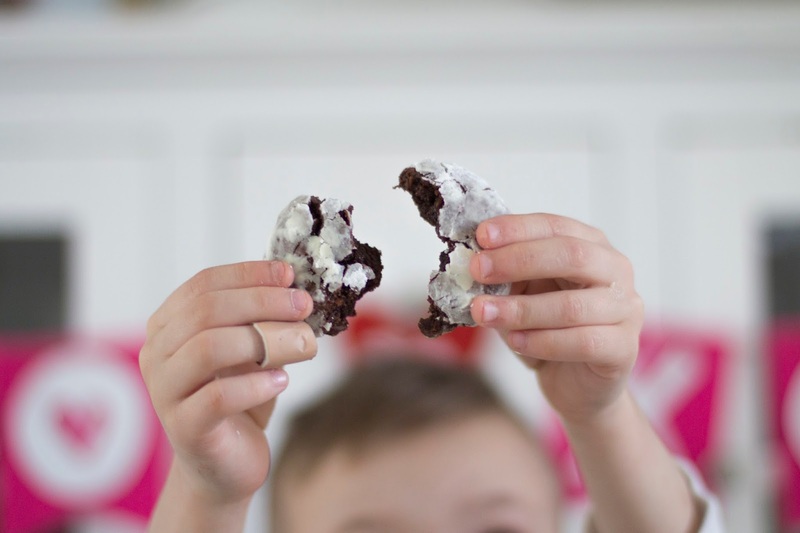 So if you’re looking for an easy and somewhat mess free cookie recipe for kids, this would be it. Just warm them to be careful with the sugar, otherwise the mess is pretty minimal. Oh, and they taste DEVINE! Like pure chocolate heaven. I may or may not have eaten a few. No shame. In a large mixing bowl combine the brownie mix, flour, egg water and oil. Add confectioners’ sugar to a bowl. 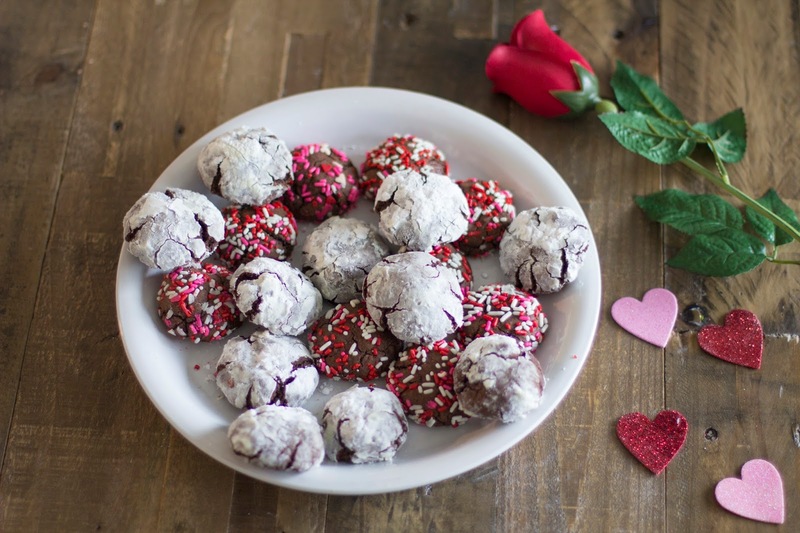 Use a small ice cream scoop, form the dough into small balls and roll in sugar or powdered sugar. Happy Valentines, friends! I hope you all have a wonderful day with your loved ones.